Indian Wells Tennis: Roger Federer overpowers Hyeon Chung for a meeting with Borna Coric in the semis. 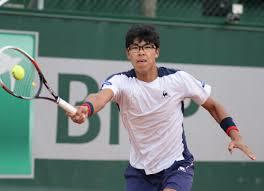 Hyeon Chung was expected to make it slightly tougher for the maestro today. However, after holding his own against Roger Federer in the first, he could not keep up in the second and lost 7-5, 6-1. Hyeon Chung couldn’t keep up with Roger Federer in the second. That Hyeon Chung would lose was a foregone conclusion, but not many had predicted a rout in the second. After all, Hyeon Chung had beaten Tomas Berdych in the second here, and earlier this year, at the Australian Open, he had beaten Alexander Zverev and the ultimate baseline grinder Novak Djokovic. Roger Federer strikes the ball early to take time away from his opponents. Prior to 2017, the super-grinders and retrievers like Djokovic and Nadal could attack Roger’s backhand side and take advantage of that weaker wing. Roger’s backhand is not a weakness anymore, and the only recourse for most is for Federer to have a bad day on the court. Can the baseline grinders, like Novak Djokovic, grind the post-2016 Roger into submission? The era where grinders, no matter how good, could overpower Roger Federer from the baseline is over. Their only shot at overpowering Roger from the baseline now would be to blast him off the court with the flatness, heaviness, and pace of their ground shots and service. Even Novak Djokovic at his very best cannot take a set against Roger Federer by grinding from the baseline. The only one who would stand a chance would be Juan Martin Del Potro, and that too if his forehand is at its 2009 US Open level and Roger stubbornly refuses to play to Del Potro’s backhand. Can Roger Federer be beaten? Sure, he can, but beating Roger would entail keeping him off rhythm, and the opponent to make frequent trips to the net and find the lines more often than not. Roger too would have to comply by having a bad day at the office. 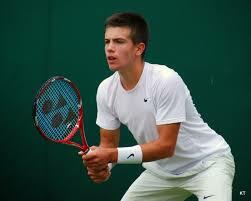 Roger Federer’s semi-final opponent, Borna Coric’s game is quite similar to Chung’s. Like Chung, he too is proud to have modeled his game around Djokovic’s style of prolonging the point until the opponent collapses. Coric is lucky because the painfully slow courts at the Indian Wells reward such play and who knows he could succeed where Hyeon Chung failed and take Roger out. Federer and Coric have played once earlier in Dubai where Roger schooled Coric 6-2, 6-1. However, that was way back in 2015 and Coric has matured and come a long way since then. ← Indian Wells: Will Roger Federer be able to defend his crown?